The ContiTech Power Transmission Group has added three sets to its service range for the automotive spare parts market. Specialist shops can now carry a toolbox geared specifically to changing timing belts on Volkswagen engines along with a laser for measuring alignment and tools for installing overrunning alternator pulleys. 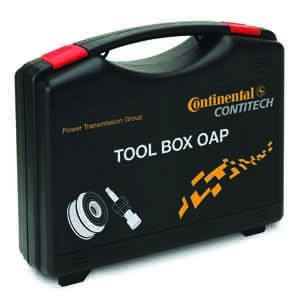 Automotive mechanics will find all the tools they specifically require to change timing belts on Volkswagen, Audi, Skoda and Seat models in ConiTech’s V01 tool box. It puts everything needed within hand’s reach. 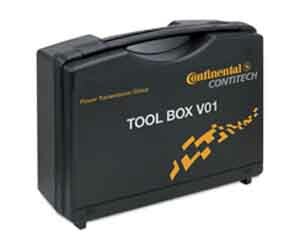 ContiTech will gradually be adding tool boxes for other brands as well. The ContiTech laser is a reliable and efficient tool for checking that all the pulleys in the belt drive are properly aligned. 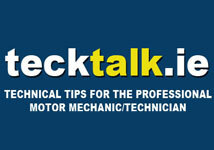 It allows mechanics to quickly and accurately pinpoint alignment errors. With the right diagnosis in hand, it is then possible to quickly correct the pulley misalignment to ensure perfect functioning of the entire belt system. Incorrectly aligned belt pulleys frequently make for noise in the V-ribbed belt drive or cause premature wear of the belt itself. 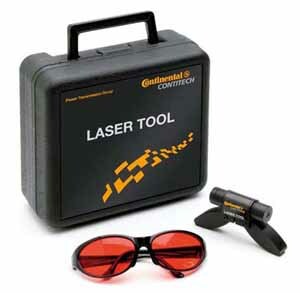 The ContiTech Laser Tool can be used with all automotive V-ribbed belt drives, including those with plastic pulleys. Safety glasses are also included. ContiTech has developed its OAP for installing overrunning alternator pulleys. It contains a range of generator cap wrench sets and is suitable for many of the most common vehicle types.